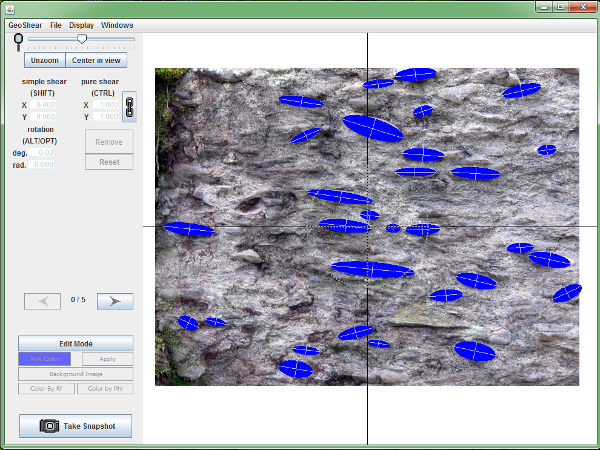 Geoshear is a desktop application to aid structural geology research and teaching. 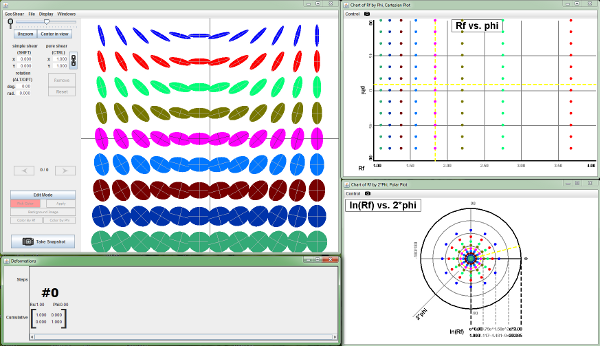 It models shearing deformations, providing both an interactive visual interface and exportable quantitative data. Geoshear is coded in Java. 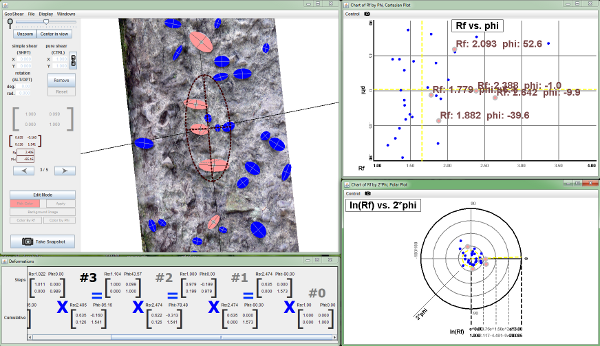 It is a collaborative project between Professor Paul Karabinos of the Geology department and Chris Warren, Senior Academic Application Developer in OIT, created as a part of NSF grant 0942313 – “Visualizing Strain in Rocks with Interactive Computer Programs”. 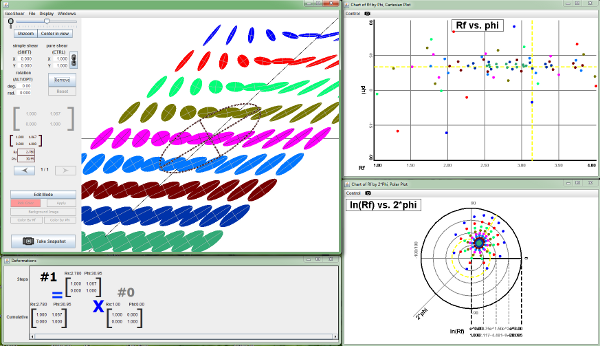 GeoShear is available as an executable download (assuming you have java on your machine), and the source code for GeoShear is available on GitHub.